The numerous accommodation with panoramic views and a private entrance are immersed in a symbiotic atmosphere between rural architecture and typical tradition without sacrificing modern comforts. Situated in the Roccamonfina regional park the Farmhouse is located halfway between Rome and Naples. Full board 50 € per person. 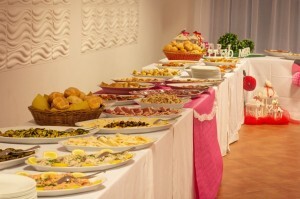 The restaurant offers traditional menus, created by the chef with local products. The restaurant comprise two large rooms, one inside that counts 150 seats and an outdoor with 100 seats, very suitable spaces for large tables, celebrations and receptions. 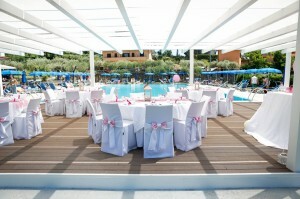 We also organize meetings and parties with buffet in the large room located by the pool. The Farmhose has a swimming pool for growns and one for children. A perfect space for families to spend time together outdoors, between the bar and the children's playground. Tennis court, soccer field and bocce and SKY Sports are also at your disposal. From Friday to Sunday we organize cultural evenings with dances and karaoke.